A post-screening discussion at the Tournées Film Festival. (Jimmy Calderon / McDaniel Free Press). 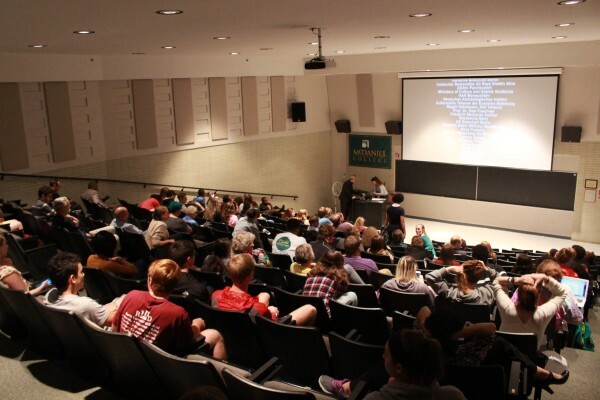 For the month of September, McDaniel College hosts the Tournées French Film Festival, a unique festival that has been going on since 2007. Silvia Baage, a professor of French in the department of world languages, literatures, and cultures, is the coordinator of the festival this year. This French film festival consists of six French films that have English subtitles from a variety of different genres, including musicals, documentaries, dramas, and even an animated film. 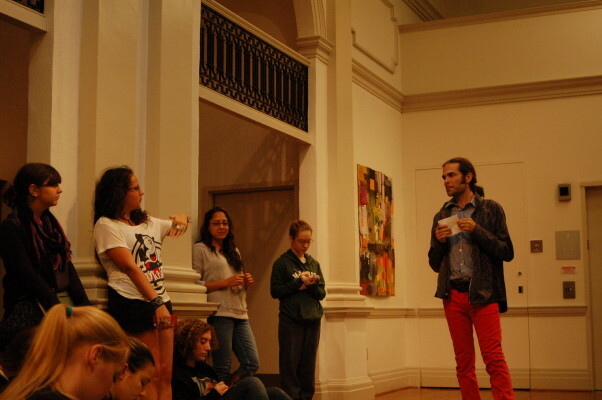 They feature an international and interdisciplinary approach to film, which is perfect for a liberal arts college. The first film featured is “Félicité,” screened on Sept. 4. This two-hour film follows the main character, Félicité, who is a singer at a bar, and her financial struggle after her teenage son is hospitalized after a serious accident. “Félicité” opens the French film festival on a very serious note. Sept. 6 saw the screening of “L’atelier.” This film is also a drama, but more of a thriller. It tells the story of a summer workshop where a group of young students writes a crime story with help from a famous novelist. The main character of the film is a student named Antoine who has evident talent, but extremely aggressive behavior. He stands out from the rest in an unusual way and the novelist cannot help but feel drawn to him. The third film, “Les Maîtres Fous” screened on Sept. 10. This 1956 documentary is only a half hour long, but depicts the Hauka movement in Niger that occurred as a way to challenge British colonialism in this time period. The fourth film featured in the festival is “Le Grand Méchant Renard et Autres Contes.” This film will be shown on September 19 and is the only animated film in the lineup. It tells multiple stories regarding the lives of farm animals in France. The next film is “Une Vie Violente,” which will be screened on Sept. 24. It is a drama that follows the story of a man named Stephane who left his life in Paris to escape his troublesome past, only to return many years later to attend the funeral of his childhood friend. The final film in the festival will be presented on Sept. 26 and is titled “12 Jours.” This documentary gives viewers an inside look on the psychiatric hospitals of France and how thousands of people are placed under psychiatric care without their consent. Viewers will be introduced to interesting movies, post-screening discussions, and international topics that they may not have engaged in before. All films begin at 4:30 p.m. in the Decker Auditorium.